Eleanor Roosevelt said, "A woman is like a teabag; the hotter the water she finds herself in, the stronger she becomes." Perhaps I am biased, but I think women are the most remarkable creatures on the planet. We have been queens and slaves, mothers and teachers. If every woman in the world was gathered together in a grand cafe and instructed to hold a gab session, I am sure we would discover that no two were completely alike. The life of each woman would be singularly interesting. From Eve frolicking and tempting in the Garden of Eden, to Eleanor Roosevelt spouting of words of incredible wisdom (while wearing sensible shoes to boot! ), famous women have lead fascinating lives and kept shocking secrets. Here are some shocking facts about some of the world's most remarkable women. 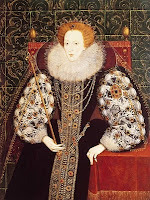 Most people know Elizabeth I inherited her father's flame-red hair and his fiery temper, but they are usually surprised to learn her explosive nature once prompted her to stab a fork in the hand of a waiting lady who displeased her. Elizabeth frequently slapped the face of the person who made her vexed, severely punished companions who fell out of her favor, and had her cousin, Mary, Queen of Scots, executed. Her temper, it seemed, could reach intense proportions. (To read more about Elizabeth's famous but tragic mother, Anne Boleyn, please click here .) Elizabeth was called the Virgin Queen. Many people mistakenly believe this was because she was chaste or celibate when, in fact, it was because she was violently opposed to marriage and remained single. 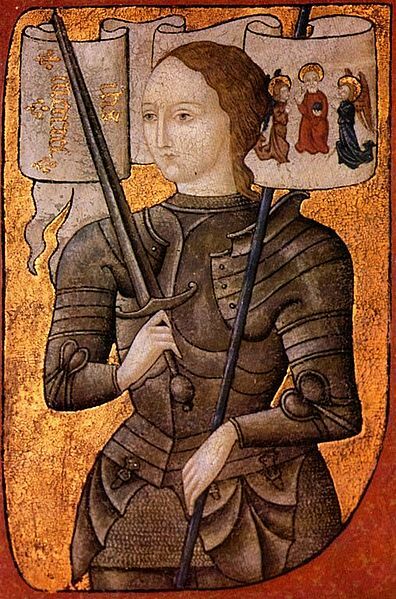 Did you know Joan of Arc was so proud of her position of leadership and her troops that she oftentimes carried the banner rather than a weapon? Did you know Joan of Arc was not cleared of the charges of witch-craft until nearly 25 years after her death? Did you know she was not canonized until 1920? 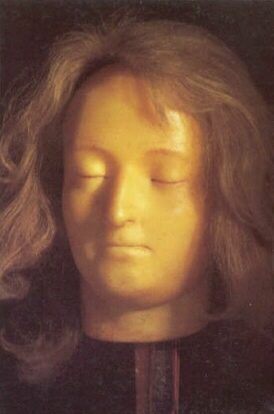 If you would like to learn more about Madame Tussaud and see actual death masks of famous people, please visit Undying Faces. Life with Queen Victoria must have been confusing. The Queen, whose stern moral values and carefully-moderated public behavior made her the role model for millions of women and whose name now defines her era, could not abide an off-color joke in public but was known to chuckle at one in private. She was fastidiously cleanly, but thought nothing of muddying her boots during long hikes through the countryside and loathed toilet paper. She publicly supported technology and the Industrial Revolution, but privately preferred candles to electric lighting. Her very public sentiments about hearth and home helped to promote loving and demonstrative parent-child relationships; in private, though, she despised pregnancy and felt very little love for babies. In a letter to her eldest daughter she wrote, "An ugly baby is a very nasty object -- and the prettiest is frightful when undressed..."
Further, her remonstrations towards her youngest son, Leopold, were so censorial and blunt they could be termed cruel. In a series of letters to her daughter, Vicky, the queen writes: "Leopold is the ugliest...I hope, dear, he [Vicky's young son] won't be like Leopold the ugliest and least pleasing of the whole family...He [Leopold] walks shockingly--and is dreadfully awkward--holds himself as badly as ever and his manners are despairing, as well as his speech--which is quite dreadful. It is so provoking as he learns so well and reads quite fluently; but his French is more like Chinese than anything else; poor child, he is really very unfortunate." The queen projected an image of a cool and emotionally restrained woman, and yet, when her dear husband died she had a plaster mold of his hand made and kept it in her bed to hold on to at night. For her tireless efforts in support of civil rights, women's rights, and worker's rights, Eleanor Roosevelt was once called "Mother to the World." Ironically, she once described herself as a less than ideal mother. She was overly-strict and dispassionately involved in her children's lives, one might even say neglectful (A neighbor once called the police when she saw Eleanor's infant daughter in a wire box suspended from an open window. Eleanor's explanation was that she wanted her child to have plenty of fresh air.) Despite her maternal failings, she was a dynamic woman. Plagued by numerous fears as a child, she overcame them as an adult to challenge herself to be a better person. She fought for women's rights and was even appointed Chair Person of the President Kennedy's Commission on the Status of Women (a major coup for the women's rights movement in America). Her selfless acts towards world peace and political stability have inspired countless women. WOW! I LOVED this piece! What a fantastic informational post on women in history, I learned so much and found some of those facts to be so neat (such as Queen Victoria and her late husband hand mold, or how Cleopatra met Julius Caesar, among many other cool facts), and things you just will not find in your average history book. Great stuff! As always, thank you for reading my blog and posting such wonderful comments. Bone nuit: Your post from Madame Tussaud is very interesting, read the book and I was surprise, I love the book..Au revoir..